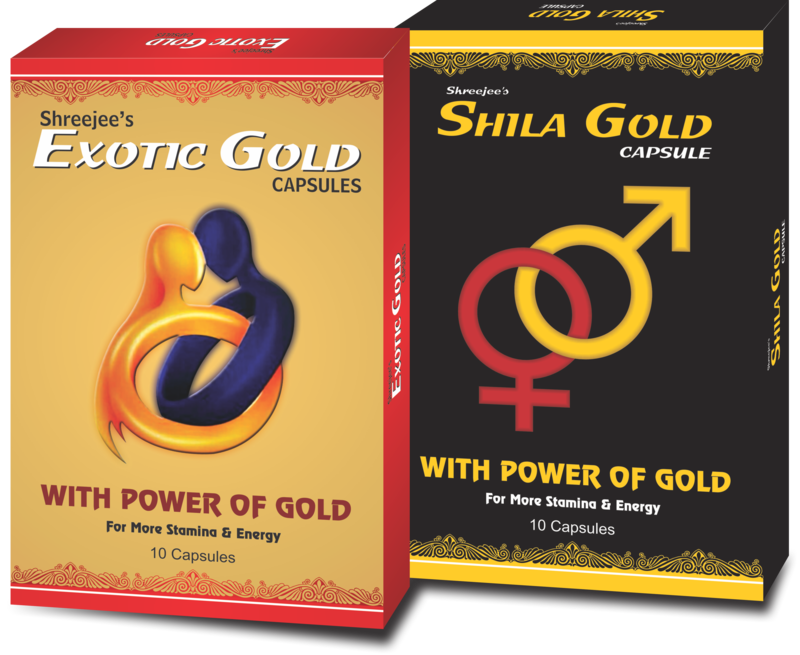 SHILA GOLD & EXOTIC GOLD are an aphrodisiac and an adaptogen. It contains several key ingredients like Svarna Bhasma, Musli, Kaucha beej, Ashwagandha etc. It helps to increase overall stamina and avoid stress in day to day life.